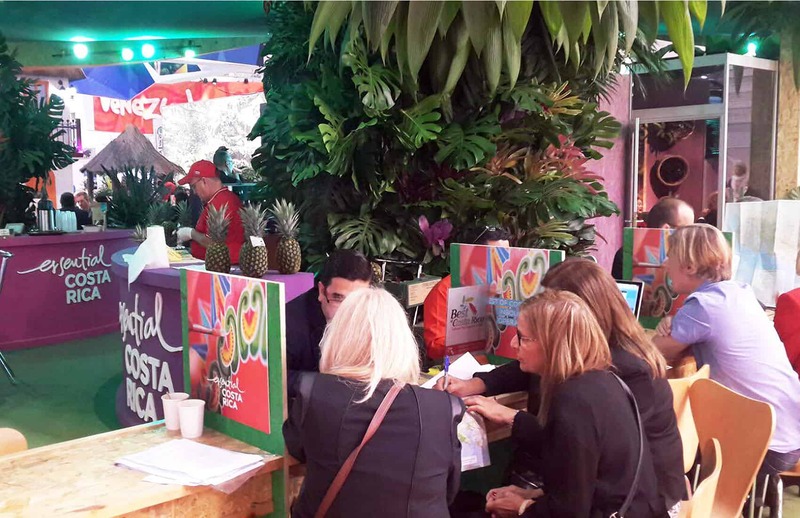 A group of 34 Costa Rican companies this week are presenting their products and services at the World Travel Market (WTM 2015), a tourism fair taking place in London through Thursday. The event brings together more than 50,000 senior travel industry professionals, airline representatives, tour operators, journalists, government officials and diplomatic staff from around the world. Ventura said that participating in the WTM is a must for the country in order to boost promotion of its destinations in the European market. The minister also noted that the distance between Costa Rica and the U.K.’s tourism market has shortened thanks to recent announcements of direct flights between London and San José by British Airways next year. “We have noticed an increased interest of wholesalers in Costa Rica as a direct result of British Airways’ confirmation,” Ventura said. Besides the British Airways route, U.K.’s Thomson Airways made its first weekly flight Monday on the Gatwick-Liberia route. According to the Costa Rican Tourism Board (ICT), this year’s fair saw the biggest participation from Tico businesses in the last five years. Tico exhibitors are looking to attract tourists through presentations and keynotes. Some also prepared tastings of local products, including pineapples, organic chocolate, bananas, dried fruit and local sweets such as cajetas. Costa Rica’s participation in the fair is one of ICT’s strategies to attract more visitors from Europe. Last year the number of European tourists entering the country by air grew by 20.2 percent over 2013. Germany, Spain, France and the U.K. are currently the major source markets of tourists to Costa Rica from Europe, according to ICT data.